​Nearly all RV’s have holding tanks, the exception, the smaller “Teardrop” and some folding trailers. If your unit has holding tanks, you will, at a minimum have 3 tanks. Fresh Water, Gray Water and Black Water. Sometimes they are referred to as the Fresh Tank, Gray Tank and Black Tank. The color designations have nothing to do with the actual color of the vessel. Gray water is water collected from the shower and sink drains, while black water is strictly from the toilet. There are a myriad of ways of providing care to the tanks. It seems like everyone and their brother has a “hack” that works for them, but for our discussion, let’s just keep it simple and follow standard industry procedures. First, glove up! Be sure that you have your drain hose connected to the bayonet connector, (the black 3” fitting on the driver’s side of the rig), and the other end connected to the dump opening using the proper sized adaptor. I always recommend the use of a clear fitting somewhere in the system to see what is coming down the pipe, so to speak! It especially helps me when I am flushing my black tank. I know for certain, when most of the solids have been removed from the tank. Once connected and verified, pull the valve handle for your black tank-keep the gray closed. Allow all the black water to drain from the tank. This can take several minutes depending on the size of your tank. This is where a clear fitting comes in handy. Yes, it is not pleasant to look at, but trust me, you will appreciate it in the end. Once, all the black tank contents have been drained out, close the black tank valve and open the gray tank valve. We do this so the not so nasty water can help clean out our corrugated drain hose. Once empty, close the valve. Many RV’s have a Sani-Flush system that will allow you to add fresh water directly to the holding tanks. Some are strictly for the black tanks, but I have seen a system to flush the gray as well. Use this system to clean that tank out thoroughly-especially when putting the RV into storage. NEVER connect your fresh water hose to a Sani-Flush system. There is potential for backflow to contaminate your hose, which in turn, contaminates the fresh water systems in your rig. I use a cheap green garden hose, reserved for this purpose. The Sanitary flush system instructions clearly state, to “keep the waste valve open when using”. The reason for this is to prevent an over pressurization of the tank, which can cause it to burst. A bad deal! If you want to completely fill your black tank, run a hose inside and stick it in the toilet bowl. Otherwise, pull the black valve open, turn on the water and flush away. Keep it going until you are satisfied. Turn off the water, wait for complete drainage and close the valve. Disconnect the hose, disconnect the drain hose from the RV side and Raise the drain hose higher than the dump connection. Let all the residual water drain out. Grab your green hose, place the end in your drain hose and turn on the water, to really flush that hose out. Drain valves, knife valve or blade valves are all names for the type of valve used on all RV’s. Whether they are electrically, cable or rod operated, they all are basically the same construction. A flat plastic “blade” sandwiched between 2 flanges that have rubber seals on them. There are seal conditioners on the market to help keep them slick. Most valve failures are related to seal failure or seal damage. Either can cause a leak or a valve to not operate properly. Tank sensors. Those dreaded little electrical connectors in your tanks help with estimating how much waste you have, but they are notoriously inaccurate. They work by electrical conductivity, so anything that touches them, potentially closes the electrical circuit and giving an inaccurate display. In the black tank, paper and human waste solids can adhere to the sensor, and dry. In the gray tank, food particles can do the same. What do you do to clean them? There are companies that specialize in tank cleaning, a good option if your maintenance does not work. If you have notoriously inaccurate readings, here is what you can do. Fill the tank up and add a good tank chemical. I highly recommend Tank Techs RX. This stuff breaks down everything. Follow the instructions and you should be good to go. You can also use one of the wand sprayers found at all RV supply stores. If you know where your sensors are, shoot water at them to get the debris off. Wear gloves and eye protection. A good practice to keep in your routine is to always add a digestive product to your tanks. Keep some water in them especially when travelling. The sloshing of the water will help clean the sensors. And never dump your tanks unless they are at least ¾ full. The water volume will propel the solids down and out. After all the weeks searching the internet, visiting dealers and walking in and out of countless RV’s, you have finally decided on one! The exterior color is perfect. The interior décor is gorgeous. The amenities-forget about it! This baby has everything! What happens next? PDI. What is a Pre-Delivery Inspection, (PDI)? This inspection, performed at most RV dealerships, ensures that the rig is ready to go. They will test all the systems, HVAC, plumbing, cooking, even the TV. They will test drive it if it is a motorhome. They will check the brakes and lights on a travel trailer or fifth wheel, and in all cases, they will check the LP system to ensure that there are no LP leaks. PDI’s are completed on everything from pop up trailers to Prevost monster class A’s. If you are buying a used unit from a dealer or from a private seller, you may not be offered a PDI. If the unit is new, a PDI should be part of the deal, sort of like “dealer prep” when buying a new car. Why do I need a PDI? The answer is the same for a new unit or used, you need an inspection! Here is why. First, some RV statistics. There are 8.9 million US households who own an RV. It is estimated that owners sell their RV every 4 years. 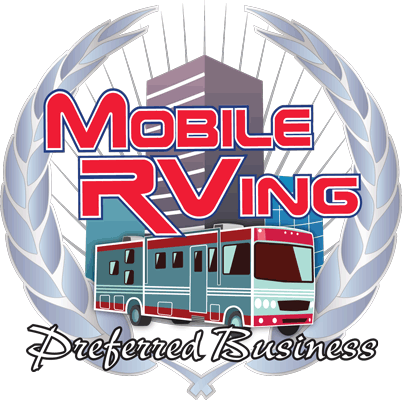 That is approximately 2.25 million RV sales annually. Of those units sold, only 675,000 are sold through dealerships. The remaining RV sales, 1.5 million are through private transactions. An independent 3rd party inspector has no financial interest in the unit being sold. NRVIA Certified inspectors are held to certain guidelines and have agreed to a code of ethics. While A dealer may only provide 2 hours for an inspection, in actuality, an inspection can take up to 4 hours. An independent inspector is not working under time constraints. You must get an inspection when buying from a private seller-period! There are owners who are “tinkerers”, they modify, to suit their needs, everything from plumbing to electrical. I have seen 120 volt electrical circuits added with out circuit breaker protection, holes drilled into the body to run cable tv wiring, and in a recent Facebook owner’s group post, an owner ran a flexible duct line from the furnace exhaust to heat the underbelly of his trailer using the carbon monoxide laden exhaust-a tragic accident waiting to happen. Finance companies and Bank and Lending institution loan officers are increasing their requests for a professional non-biased inspection on equipment they are considering as collateral for a loan. The inspection provides not only peace of mind to the buyer, but also the lender who has proof that the borrower is not purchasing a lemon that they may grow tired of dumping money into and abandon the loan. Insurance, Insurance Underwriters have expressed a desire over the years to have more information regarding the RV’s condition they are insuring. Our industry association continues to develop relationships with Insurance companies who desire to know more about the condition of prospective client’s equipment before insuring. I suspect many extended warranty companies may do the same in the future. Engine/Transmission/Generator. A private seller will tell you that all of the maintenance is up to date, and that it drives and runs just fine, but is that true? All three of these require lubricant to operate properly. Lubricants can tell you a lot about the condition of a given machine. Engines and in some cases, generators, also use coolant to keep things working properly. It is highly recommended that a fluid analysis be performed on all used RV’s. It couldn’t hurt on a new unit either. A testing lab will identify fluid break down and foreign materials in the fluid. If there are metal fragments in the fluid for instance, this is a sign of engine damage or wear. If there is coolant in the engine oil, this is a sign of an engine block problem. So, what is included in an inspection? My inspections begin with photos of the exterior. I take photos of all 4 sides, the VIN tag, RVIA tag and other identifying markings. Next, I walk around the exterior. I am looking for anomalies in the skin of the unit, windows, doors, compartment doors, etc. Then I gear up and crawl underneath. Here I am looking at the structural components of the frame, looking for damage, excess rusting, modifications, exposed wiring and plumbing, and if visible the holding tanks. If it is a motorhome, I look at the condition of the bushings and seals, steering components, bottom of the engine looking for excess oil. Axles are inspected as well as the inside of the tires. I next look at the tires and check for manufacture dates and the outside of the tire. I am looking for cracks, checking and unusual wear. I then head up to the roof and walk every inch. I am looking for soft spots, general roof condition, roof needs, such as self leveling sealant, vent covers, etc. The inside is next. First, I perform a LP Timed Pressure Drop Test. This test, will identify any LP leaks. If no leaks are present, we can start testing appliances. Everything is tested to the best of our ability. In certain circumstances, we can not test the furnace or air conditioner. Usually this is because the ambient temperature prohibits the thermostat from calling for heat or cooling. There are some cheats that I use though! I walk on every available section of floor, looking for defects, and using a flashlight, I look into and behind every door, drawer and cubby, looking for signs of water damage, rodent or insect infestation and for “tinkering”. If the unit is motorized, it is given a short test drive to make sure all the components work properly. If it is a trailer, power is applied to the umbilical cord to check for brake operation. Then it is back to the office to prepare the written report. The report will include a narrative and photos of any issue that was observed as well as a check sheet to indicate that everything was indeed inspected. The report is then mailed to you to use as you see fit. Most customers use it as a negotiation tool. ​So, you just purchased your new or new-to-you RV. Congratulations! Unfortunately, on your very first trip, you experience a problem with your HVAC system, refrigeration unit or even a total breakdown. Who do you call when you’re miles from anywhere? If you can get back to your selling dealer, they can certainly repair your RV, but if you live in the unit full time, you may have to relocate during repairs. On the other hand, if you can’t even move the unit, your only option is to contact a mobile RV service technician. How, then, do you choose which mobile technician is the one for you? Consider these seven tips when hiring someone to work on your rig. Search for a trained technician rather than a so-called mechanic off the side of the road. The Recreational Vehicle Industry Association (RVIA) and the Recreational Vehicle Dealer Association (RVDA) has a very structured training program for all of its credentialed technicians. Each would-be technician must attend classes and pass rigorous exams to earn the title of certified technician. From Registered Technician to Master Certified Technician, all levels of credentialing have continuing education requirements, including hands-on documented training in the RV industry. Keep in mind average RV technicians’ credentials only verify mastery in RVs, not necessarily motorhomes or chassis. Ask your technician if they’ve received training in either of these vehicle types before hiring. Some states and municipalities require a contractor’s license to do business. Check with your local agencies for requirements, as these may vary state to state or county to county. In Arizona, for example, the only license required regards sales tax. Ask to see any potential technician’s documents before taking the leap. Insurance is probably the most important thing to look for when hiring a mobile technician, aside from proper training. A true RV service technician business, as in almost any contractor service you require, will have business insurance to ensure their client isn’t on the hook should an injury or damage occur while they are working on your RV. Always ask to see their insurance certificate prior to allowing any work to be performed. In the world of contract work, word of mouth is the best advertisement. Prior to calling a name in the phonebook or from an internet search, ask around either in-person or online. Many RV owners have already used a mobile technician and may refer you to “their guy”. Use resources on the internet. Yelp, Google and RV Service Reviews all offer outlets where people like you can write a review of their service technician. If you are staying in an RV park, check with the office. They will tell you if there have been bad technicians that have done work there or if they have banned any mobile technicians from working in their facility due to poor service. They may even have their own “guy” with whom they have an established relationship. Remember: a lot of negative reviews may be written by sour grapes with loud opinions, so take them with a grain of salt! Branding relates to the technician’s company name, logo or presence. Do they have “real-looking” business cards? Do they have a professional-looking website? Do they have their name, phone number or company logo on their work truck? If they show up in a plain white van with no uniform and home printer business cards, they may not be a professional and may just as easily damage your unit or disappear before any repairs are made. Businesses are always competing based upon price. Most mobile technicians charge roughly the same hourly and service call fees. As in all businesses, however, there are slight variations in quoted pricing. Technician terms may also be different. Some may credit the service call fee back to you if the work completed surpasses a certain dollar amount . If you’re tempted by a technician quoting way less than the competition, keep in mind, you get what you pay for in the contracting world! When the time comes to pay for the services rendered, consider the payment options available to you. If it’s cash only, you may want to look elsewhere for a reliable mobile technician. A legitimate operator will accept credit cards with a mobile swipe device, checks or cash. As mentioned earlier, education and training are important considerations when hiring a service technician. Don’t assume that if a technician claims automotive or truck experience, that they know the nuances of RV systems. Ask about formal and continuing education. While on the job training is common, they should have some sort of formal manufacturer training. Enjoy your RV, first and foremost. Though, it never hurts to be prepared for the unexpected when you’re out on the road. When you’re ready to find a trustworthy and knowledgeable mobile RV service technician, make the search easier by applying these simple tips to save you aggravation and potentially worse problems down the road.